Will all the Big Bingo Brands be announcing a sister Slots site? Bingo in general has evolved at an incredible pace over the years, so much so that it can often be difficult to keep up with what’s hot and what’s not, and to predict where things could be going in the future. First there was traditional style bingo halls, then there was online bingo – and then came mobile bingo so wherever you go you are able to get a fix of your favourite game. The technology is so advanced that you can enjoy the exact same experience on your mobile as you can on desktop. Throughout the rise of bingo – slots have always been about – the ideal accompaniment most would agree. They are created by some famous software providers like Microgaming, Net Ent, Leander games and others. You can now find slots to suit every theme – whether you want to reminisce over your favourite TV show or whether you want to rock out to one of your favourite rock bands – you will find a slot for you! There are constantly fresh new games created too, so you will always find something that you haven’t played before. They have become so popular in fact, that it has become an increasing trend of bingo brands launching sister sites that are dedicated to slot games and slot promotions. These days you will find some of the most renowned bingo sites also have slot sites. Wink Bingo for example now has Wink Slots, Costa Bingo have Costa Games and there are lots more examples! 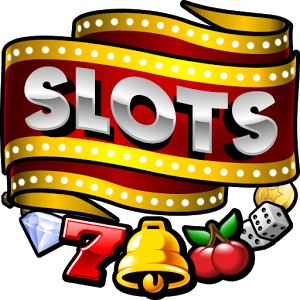 There are now even networks that are dedicated to slots sites, such as Jumpman Slots who are behind the likes of Top Dog Slots and will soon be launching Rocket Slots, to be a sister site of Rocket Bingo. Promotions on slot sites can be anything from awarding players free spins, to giving them cash back on their losses if they play on specific games. You will also find a lot of slot tournaments where you can win big cash prizes if you have a bit more of a competitive edge. What’s next for slot sites? Who knows but be on the lookout for some of your favourite bingo brands launching a slot sister site.